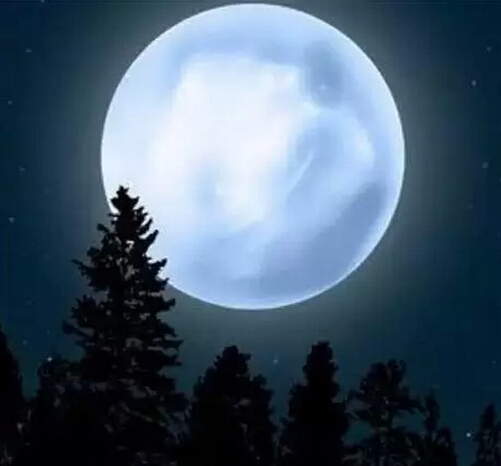 Something called a "supermoon" rose at night on October 15 and 16. That is when the moon is full, closer to Earth than usual, and lit by the sun. NASA made a video explaining why the moon is sometimes closer to Earth than other times in its orbit. The moon's orbit around Earth is not a perfect circle. It is shaped like an oval. The moon is about 48,000 kilometers closer to Earth on one side of its orbit than the other. A supermoon happens when the Earth is between the sun and the closer-than-usual moon. The sun lights up the moon during the Earth's nighttime, and since it is closer than usual, it looks very large and bright. Last weekend's supermoon was the first of three supermoons of 2016. The next supermoons will take place on November 14 and December 14. The November supermoon will be "extra super." In fact, it will be the closest full moon of the 21st century, so far. The full moon will not be that close to Earth again until the year 2034. Many people who saw the October supermoon took pictures. Bruce Neumann took a photo in New York City of the moon above the Statue of Liberty. NASA posted a time-lapse of the moon rising above the Antares rocket on its launch pad. A Twitter user in Greece posted a photo of the moon rising above the Acropolis site in Athens. Another photographer posted a photo on Twitter of Cape Town, South Africa. It shows the moon above the glowing night lights of the city. People who saw the images reacted by posting comments. They used words like "amazing," "phenomenal" and "stunning." As far as history is concerned, the super moon has nothing to do with disasters. Of course, the trip was not a perfect circle. 1.The sun lights up the moon during the Earth's nighttime, and since it is closer than usual, it looks very large and bright. The Ritz was outlined against the lights up there. The sun lights up the sky and the earth. 2.The next supermoons will take place on November 14 and December 14.